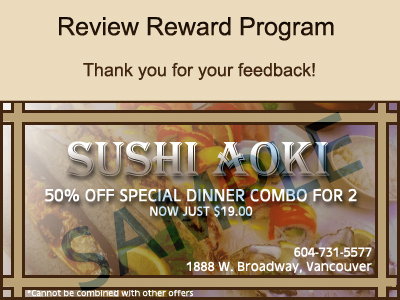 Sushi Aoki has a new Review Rewards coupon! By logging in on BCRestaurants.ca and writing a brief review about your experience at Sushi Aoki, you will earn a coupon for 50% off a Special Dinner Combo for 2! 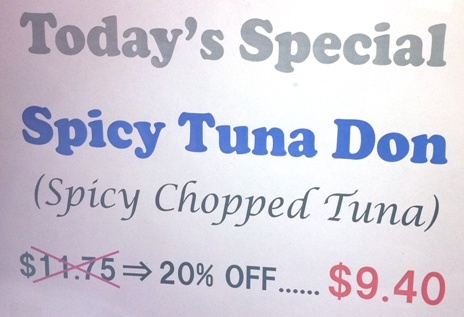 What's more, there are always great DAILY deals available at the restaurant. 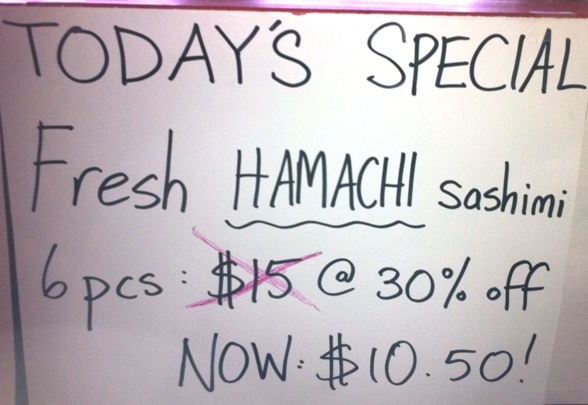 So visit Sushi Aoki today, and enjoy! !